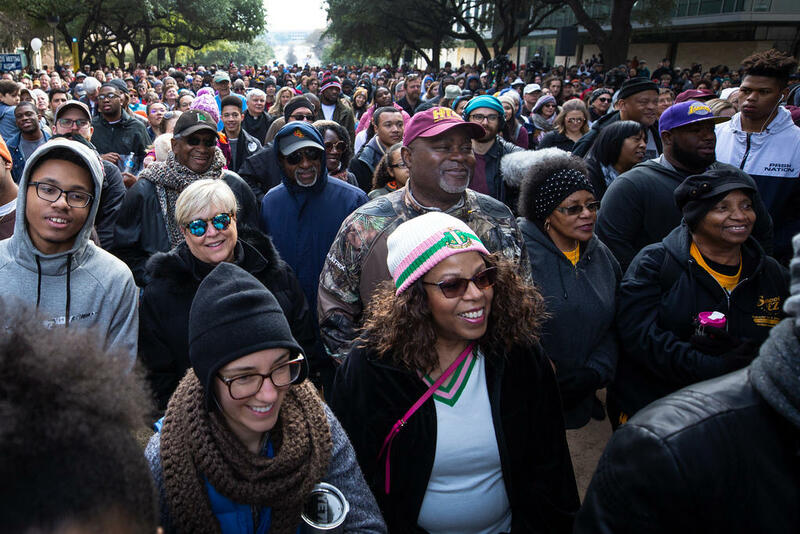 Hundreds of marchers walk from the UT Austin campus to Huston-Tillotson University during the annual Martin Luther King Jr. Day celebration. A crowd gathered on the UT Austin campus Monday to honor the legacy of the Rev. Martin Luther King Jr. 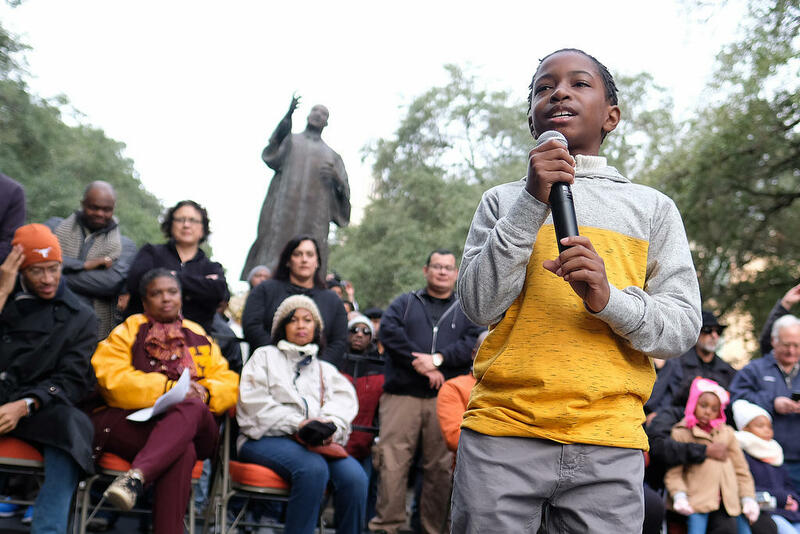 Among the speakers – many of them leaders, elected and otherwise – was fourth-grader Bradon Owens, who won the 14th annual MLK Oratory Competition. Fourth-grader Bradon Owens, who won this year's MLK Oratory Competition, addresses the crowd gathered at the Rev. Martin Luther King Jr.'s statue on the UT Austin campus. RELATED | Watch The Rally Honoring Martin Luther King Jr.
UT Austin President Greg Fenves recalled when King spoke on campus in 1962. Though it was six years after the first black students were permitted to enroll in the university, segregation was still a fact of life on and around the campus. King called on students to bring that to an end. 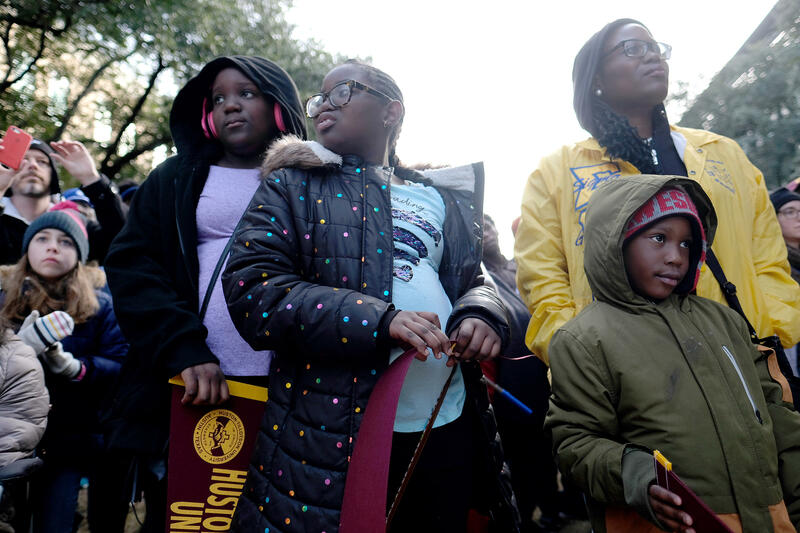 The rally was followed by the annual march to the campus of Huston-Tillotson University in East Austin. 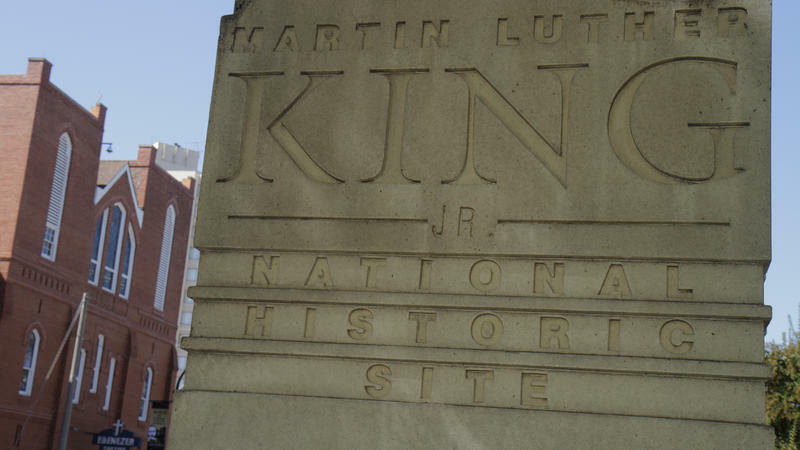 Hundreds attend the annual celebration to honor King's legacy. 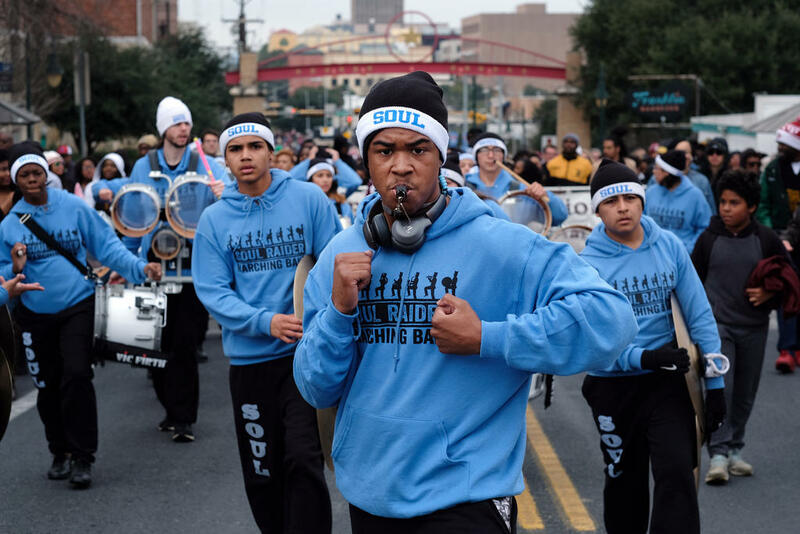 Cameron Steen leads Reagan High School's Soul Raider marching band during the annual MLK Community March. 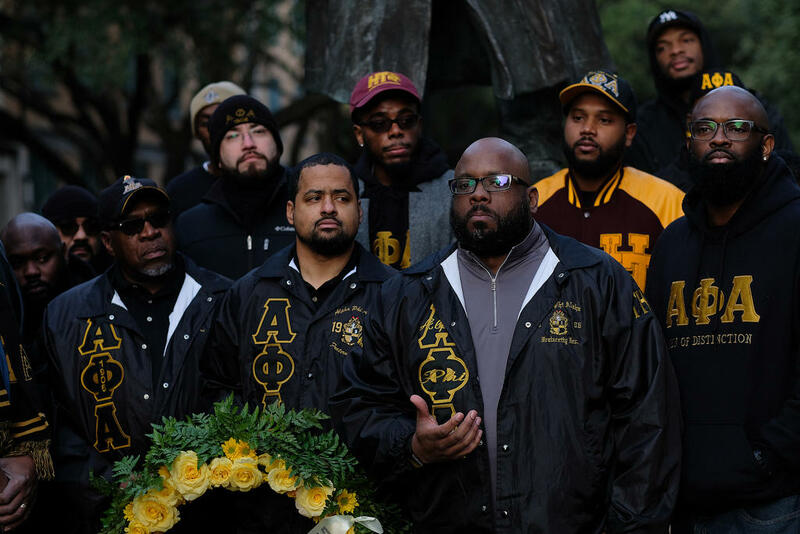 Members of the Alpha Phi Alpha fraternity gather at the King statue to honor his legacy. The crowd listens to speakers on the East Mall of UT campus before marching to Huston-Tillotson. 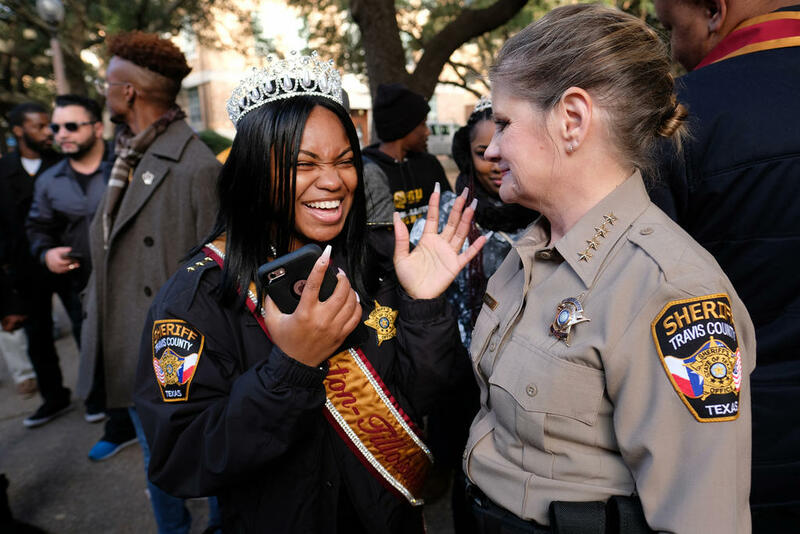 Huston-Tillotson Parade Queen Kiera Percy reacts after Sheriff Sally Hernandez lends her her jacket on the chilly morning.